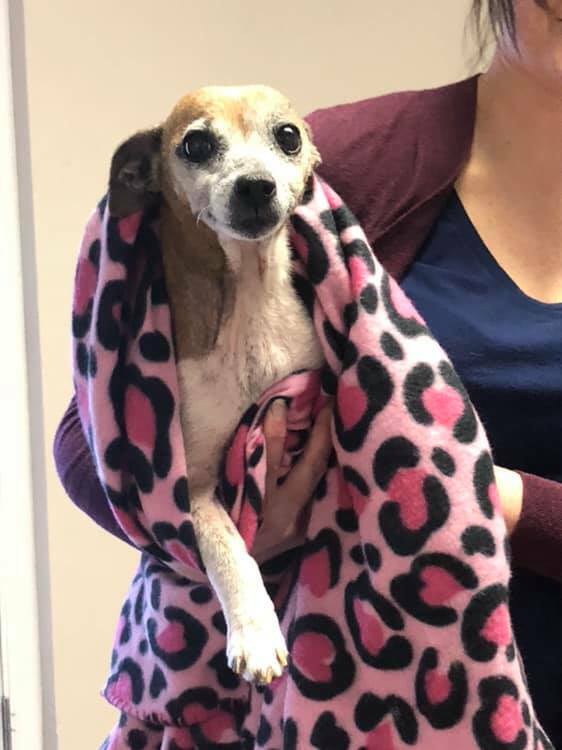 Dora’s surgery went well – A Reason to Believe Animal Rescue, Inc.
Dora’s surgery went pretty well. Besides the large draining tumor, she had many small ones and a very swollen lymph node that was removed. Another lymph node was swollen too but she started having some respiratory distress and had to be woken up before it could be removed. The tumors and lymph node were sent for histopathology to confirm what we’re already sure is cancer. Her chest X-ray was clear so at least if it is cancer, it’s not spread there. She was spayed while under. Her incision is huge because the mammary chain had to be removed. 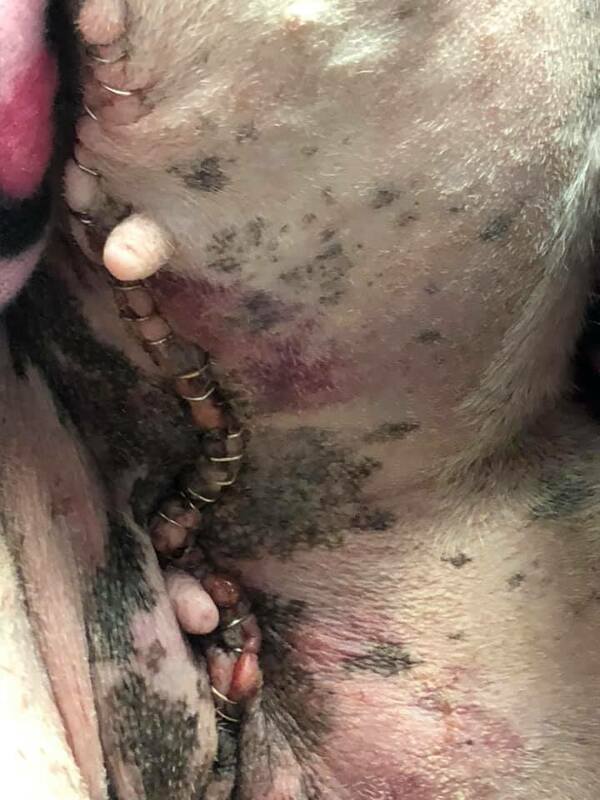 Removing the large breast mass left a deep hole and took a lot of skin so skin from the other side of her abdomen had to be pulled over to close it. Lab work was good, thyroid was normal, teeth look good but she had terrible breath, Her skin and coat are a problem but the doctor thinks she wasn’t getting the right kind of food. She’s a healthy weight so she wasn’t missing meals but just needs something better for her. She’s a very happy and sweet girl. Thank you to everyone that has donated for Dora’s care! Subscribe to receive email updates from ARTBAR. Previous Post Emergency! Dog hit by car! Next Post Welcome Caspian & Cate to ARTBAR!